Car insurance cover is different in every country and it also differs from state to state in some countries. Car insurance in South Africa however only differs in as far as the price and risk profile of the Province you live in and then of course on your own risk profile. It is always recommended for people who require car insurance to check what the country’s legal requirement is for car insurance if you will be driving in a foreign country. In South Africa there are three simple types of car insurance. These include comprehensive cover, third party fire and theft and third party only. Comprehensive car insurance is the most recommended as it covers damages to your car caused by theft, vandalism and fire. You will also be covered for accidental damage to a third party’s vehicle or property. Accidental death and injury to a third party will also be covered. It depends on the car insurance company but you could benefit from medical assistance, road side assistance, towing and storage and car hire under comprehensive car insurance. Third party fire and theft car insurance is also referred to as limited liability cover. It covers any damage caused to the third party’s car and accidental injury or death to the third party. This type of car insurance covers attempted theft, hijacking or auto theft. You will also be covered for lightning, explosions and fire to your vehicle. Your car radio, windscreen and canopy are covered under this type of auto insurance. Third party only car insurance protects damages to a third party’s vehicle caused by you. This type of coverage will also cover accidental injury or death of third parties participating in the same accident. This type of auto insurance does not cover your car from loss or damage sustained in an accident. This is the cheapest type of car insurance but it is not comprehensive. Many factors can influence car insurance premiums. The make and model of a car, your age, gender and driving history will impact your premiums. It also depends on how often you use your car, where it is parked, where you live and the mileage on your car. You can compare car insurance policy quotes to suit your budget. Selecting the right type of car insurance should be determined by the extent of cover you require and your budget. 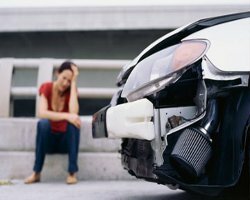 However it is worth considering the costs of being in an accident and not having sufficient auto insurance. Comprehensive car insurance is the most expensive motor insurance of the three but it covers you from any loss or damage to your vehicle. It is worth the extra cost every month to be fully covered on the road.